The North Building at the Albright-Knox Art Gallery is expected to create an additional 2684 m2 of space. Buffalo’s Albright-Knox Art Gallery has released preliminary designs for a new freestanding building as part of its AK360 Campus Development and Expansion project. Designed by international firm Office for Metropolitan Architecture (OMA) and its New York-based partner Shohei Shigematsu, the North Building will create 2684 m2 (29,000 sf) of space for displaying special exhibitions and the museum’s art collection. 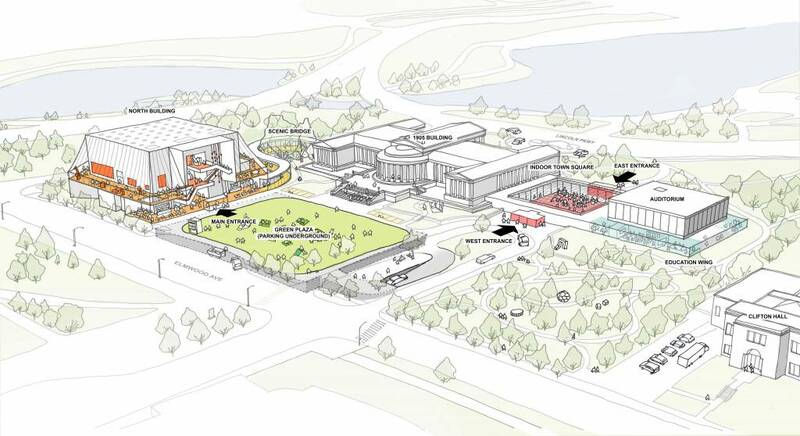 The design also reveals plans for a wraparound promenade, which the firm says will visually and aesthetically connect the facility’s interior with the site’s existing campus and landscape. The area around the gallery is part of a system of parks designed by Frederick Law Olmstead and Calvert Vaux in the 1800s. Designed by OMA, the wraparound promenade will visually connect the new building with its surrounding landscape. As part of the AK360 project, designers from OMA are also working to preserve and improve the campus’ existing buildings. The designs include updates to the gallery’s 1962 Building, such as creating a new education wing on the lower level, adding a new entryway, and building a roof enclosure for the building’s open-air sculpture garden. 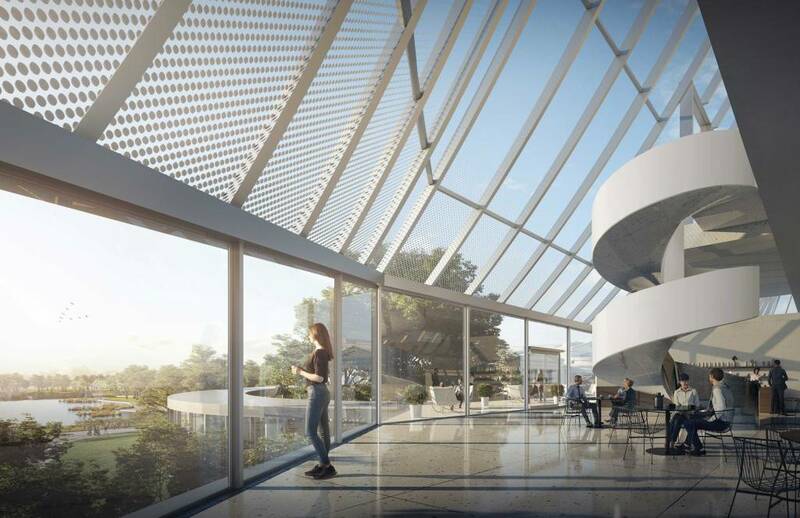 The design team also has plans to connect the North Building with the campus’ 1905 Building, via a scenic bridge through Olmsted Park. Design development for the AK360 Campus Development and Expansion project will continue into 2019, with construction expected to begin later that year. The expanded facility is slated to open in late 2021. The AK360 Campus Development and Expansion project will also preserve and improve the site’s existing buildings.